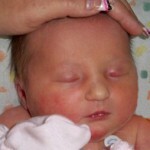 Today, our Princess Laila Elizabeth Spethman would have been 2 years old. She was born on this day in 2010 in Denver, Colorado at Presbyterian St Luke’s Hospital to my niece and nephew, Jenny and Steve Spethman. Her big brothers Xander, Zack, and Isaac waited to welcome their little sister home. But that was not to be. 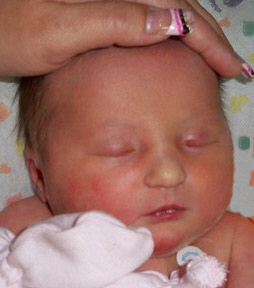 Laila went home to be with the Lord on November 22, 2010, where she rests in the arms of her Savior, Jesus. In addition to her parents and her brothers, she is survived by grandparents, Cheryl Masterson, Rob Masterson, Marie Spethman, and Steve and Lily Spethman. She is also survived by several great grandparents, aunts, uncles, and cousins who love and miss her very much. We know we will see you again Princess Laila, when we all join you in Heaven. We know that you are getting to know all those who also wait in Heaven for our coming to join you. We look forward to that wonderful day when we will all be together again for all of eternity. And you can meet your little sister, Aleesia then too. Until then, sweet baby, we wish you Happy Birthday in Heaven!! 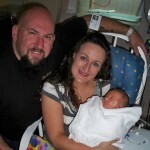 We all love you Princess Laila Elizabeth Spethman! !